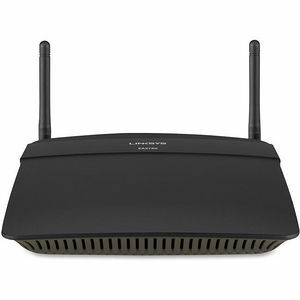 Wireless router delivers high-bandwidth Wi-Fi speeds with reduced interference so you can get the most out of your wireless network. With Linksys Smart Wi-Fi software, you can access and control your home network at any time, wherever you are. Two adjustable antennas ensure optimal coverage and maximum signal strength throughout your office. Gigabit Ethernet ports transfer data 10 times faster than Fast Ethernet to ensure high-speed connectivity for your wired devices. Advanced wireless security protects your network with wireless WPA/WPA2 encryption and an SPI firewall. Guest access allows you to create a guest network with a unique password for convenient and secure guest access. QOS traffic management reduces buffering by prioritizing high bandwidth activities. Plus, share files from your devices and external storage across your network via USB.